Simon Mignolet has rightly reminded everyone of his crucial role in yesterday’s 4-1 over Stoke by reflecting on one first half save in particular. The Liverpool goalkeeper was criticised for being beaten at his near post by a Jonathan Walters header but made amends soon after as he used his legs to keep out a goal bound strike by his former teammate Joe Allen and stop Stoke from taking a 2-0 lead. It was the response Jurgen Klopp and the rest of the players needed from the Belgian and a response that appeared to kick start Liverpool’s revival and eventual victory. 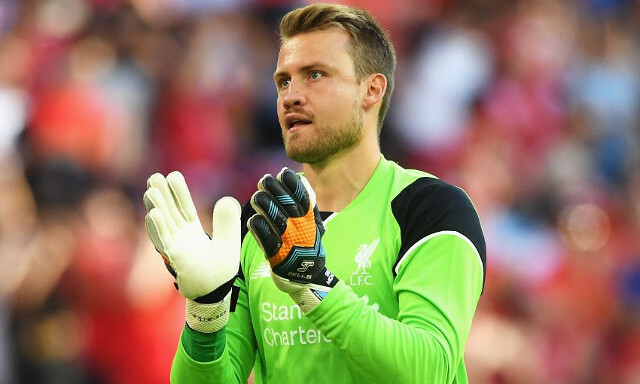 The discussion surrounding Liverpool’s goalkeeping situation is one that just doesn’t seem to be going away and Mignolet’s attempt to keep out Stoke’s opener didn’t do anything to help that. Having said that, things have looked more assured in defence since he came back into the team and there is no doubting that the former Sunderland man has popped up with a few good saves. He has been relatively untroubled for the majority of the time though which is something we can only see as being a positive. Hopefully there are plenty of quiet days still to come for our man between the sticks.